Raptor 6 was NOT that book. What I really enjoyed about this book was how much it centered on Dean Watters and that while it was careful about it's depiction of soldiers to keep it appropriate for Christian fiction readers, it did not tiptoe around anything. It presented an authentic story. I appreciated that there was a bit of romance, however that took a back seat to the fast-paced action that Ronie Kendig unraveled from page one. While the romance was there, the story between Dean and Zahrah really kicked into gear in the second half of the book. The story starts with a bang and then flashes back six months. It hits the ground running from go. There are a few things that were hard to read but it was so well handled by the author. Zahrah suffers a gut-wrenching experience, she has to make an unbelievable choice that effects Dean and herself, she looks for God's purpose in it all. "I'm right where God wants me to be." Zahrah's confidence, rock solid faith and belief in her purpose was such a wonderful reminder of the faith that we need to have in God. Nothing was in the story for shock value, but was there to show the story of Dean and Zahrah and the will of God. I also feel like I should mention how wonderful a character Dean is. He is the definition of honor, loyalty, strength and leadership. I don't want to give things away, but I will say that if when you read it, and you get to the dancing in the cell to keep spirits up despite the pain… man. That was so great. It was a smart writing move to have the "bad guy" piece written in first person while the rest of the book was written in third person. It reminded me a bit of Lynette Eason's novels which I really enjoy, and adds another dimension to the story. The only thing that was hard for me was the use of so many acronyms. I found myself pausing and flipping to the front of the book to look up the acronym. The positive side to this is that it made the story, the characters and the setting feel much more authentic; it was like I was listening to someone tell their personal story. Would I Recommend This Book? Yes! While this is not the sort of book I have ever read before I really enjoyed that it was an action/military novel, with mystery and a bit of romance thrown in. I have a nasty habit of reading the end of a book before the beginning. This is something that I haven't done in awhile. It happens most often when I am really bored with a book and I want to get it over, or when I am so into a book that I can't wait to read what happens. This book, was one of the latter. I wanted to know, so badly, what happens to Dean and Zahrah. I wanted to continue to read of Zahrah's faith as I felt there was a message in those words meant just for me and see where the story went. Even though I read the end, I did go back and read the whole book again. This is one I know I will read again soon. It is the kind of book that I think men might enjoy as much as women. 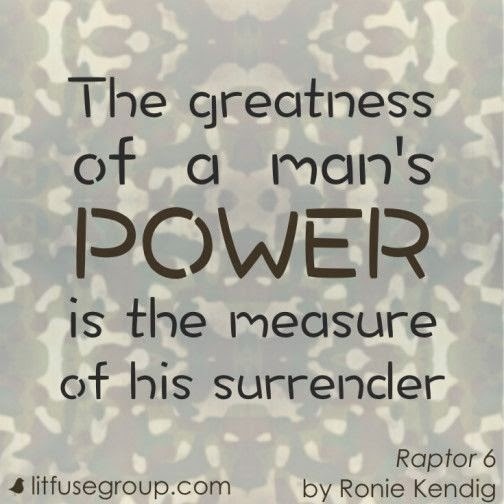 I can't wait to read the next story in the series and then snap up other books by Ronie Kendig! My rating: 4.5 / 5 stars. 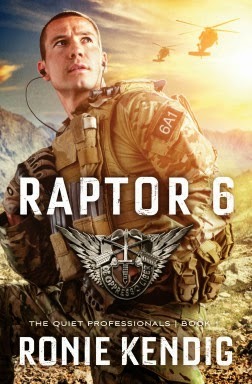 This is book one in The Quiet Professionals series, which centers around Raptor Team, a Special Forces unit working in the middle east. Captain Dean Watters always keeps his missions and his team in the forefront of his laser-like focus. When his mission, and team, are threatened his training kicks in. Hackers are trying to steal national security secrets from the military's secure computers and networks, so failure isn't an option. The story is also of Zahrah Zarrick who is a missionary teacher to Afghan children in Mazar-e Sharif. She is also a target. Taken because of her expertise in cryptology, compromising the U.S. military, Dean is forced to crack the stronghold around his heart - a move that may come at a very high cost. Learn more about the book at Ronie's website.